Following Tuesday’s conviction of drug lord, Joaquin Guzman popularly known as ‘El Chapo’ by a court in the United State, there are insinuations that he may be sentenced to life in jail. El Chapo, who has an unparalleled record of jailbreaks, having escaped two high-security Mexican prisons before his ultimate capture and extradition to the United States, is touted to be the ideal candidate for the US ‘Supermax Prison’ located in Florence, Colorado. Also known as ADX for ‘administrative maximum’, the facility is so secure, so remote and so austere that it has been called the ‘Alcatraz of the Rockies’. 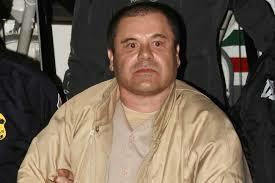 “El Chapo fits the bill perfectly. I’d be absolutely shocked if he’s not sent to the ADX,” Cameron Lindsay, a retired warden who ran three federal lockups, including the Metropolitan Detention Center in Brooklyn said. Located outside an old mining town about two hours south of Denver, Supermax’s hardened buildings currently houses the nation’s most violent offenders, with many of its 400 inmates held alone for 23 hours a day in 7-by-12-foot cells with fixed furnishings made of reinforced concrete. Boston Marathon bomber, Dzhokhar Tsarnaev, September 11 bombing conspirator, Zacarias Moussaoui, Oklahoma City bombing accomplice, Terry Nichols and Ted Kaczynski are among those who call it home. But Guzman, set to be sentenced in June for smuggling enormous amounts of narcotics into the US and having a hand in dozens of murders, would stand out even from Supermax’s infamous roster because of his almost mythical reputation for breaking out. Bribery is widely believed to have enabled that jailbreak, as well as a 2001 escape in which Guzman was smuggled out of another topsecurity Mexican prison in a laundry basket. As an Amnesty International report revealed, prisoners at Supermax spend years in solitary confinement and often go days with only a few words spoken to them. Although most inmates at Supermax are given a television, their only actual view of the outside world is a 4-inch window. The window’s design prevents them from even determining where they are housed in the facility. This is even as human interaction is minimal as prisoners eat all their meals in the solitude of their own cells, within feet of their toilets. In the days leading up to El Chapo’s three-month trial, his confinement included remarkable security measures which reflected his immense flight risk. He was housed in solitary confinement in a high-security wing of the Metropolitan Correctional Center, a Manhattan lockup known as ‘Little Gitmo’ which has held notorious terrorists and mobsters in the past.